Reflecting on how far I’ve come in a year. Happy New Year! I can’t believe that we are already a week into the new year. I experienced a lot this year. Many great things happened and I learned a lot of important lessons along the way. Throughout 2018 I was bold. I got a promotion (which I negotiated), I started this podcast (with no experience), spoke at a podcasting conference and I even found love. In this episode I share what worked in 2018, what didn’t work and the most important lessons I learned. I also share my top goals for 2019 and why “committed” is my word for the new year. Got a promotion at work. I’m now a Grants Manager. 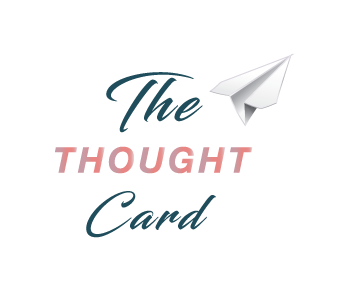 Launched The Thought Card podcast with over 500 downloads in the first month. Created WOC Podcasters (Women of Color) an inclusive podcasting community for learning, networking and sharing resources. Presented at Podcast Movement in Philadelphia, the world’s largest podcasting conference. Became an editorial board member of Podcast Business Journal. Participated in my first panel discussion in New York City with A.I.M. Unlimited. Went on lots of short trips in 2018 including trips to Ireland, Chicago, Oslo, Iceland, Puerto Rico, the Finger Lakes (New York), Orlando and Toronto. Attended FinCon and TBEX North America – Listen to Episode 8 where Yasmine and I share tips for attending FinCon for the first time. Got featured on lots of podcasts including Chronicles Abroad, Comfortably Excluded, WTF?! IDK Podcast and Travel Fuels Life. As a freelance writer, I also contributed 5 articles to Go Banking Rates, a leading personal finance banking website. Tips for paying off credit card debt and student loans faster. Overworked myself and got really sick. House hacking and having roommates was challenging – don’t worry, they moved out! I didn’t finish working on my book. Planned too many trips, too far in advance and had to cancel. Leave me voicemail or join the conversation over at Financially Savvy Travelers and share your top travel or money goals for the new year! Happy New Year!